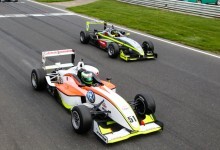 F3 Cup opened its 2014 season at the Snetterton 300 circuit. 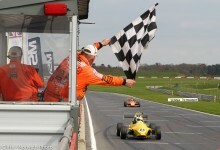 Karting champion, new to cars, Toby Sowery, swept to two victories, with Tristan Cliffe best of the rest. 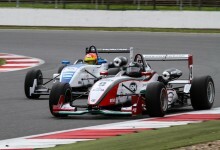 This shot is from the starting gantry of race 1.